Crafting full-stack solutions is core to our DNA. Driven by mobile, back-end and front-end challenges, with Agile and DevOps development process, we love working with cutting-edge technologies and platforms starting with mobile but extending to Voice, IoT, AI, VR, and more. At Lean App, we propose the technology stack for the solution based on the problem we are trying to solve. 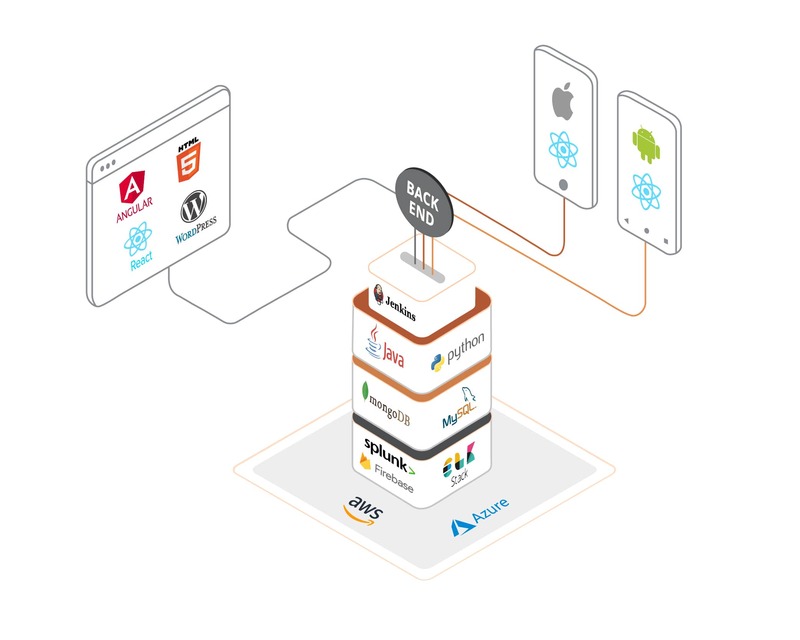 Our technology stack option includes all the latest variants of open source technologies that enable lean and agile development and continuous delivery. Our proposed stack works across enterprises and startups as well as for product development companies. What architecture shall you go with ? We have hands on expertise building application using both monolithic and microsercvices architecture. Our technology experts would understand the application business goals and based on the complexity, would propose the right architecture. We always advice to start with monolithic if your idea is fresh and you want to validate it first. Microservices is more beneficial for complex applications where scalability, reliability and complexity is imperative. How do we deliver at 5X speed? Our development ninjas learned from the past deliveries that most of the applications share a set of common functionalities. For the backend, it is CRUD Operations, API for managing data, login and authentication, mail notifications, integration with monitoring and logging. On the frontend, we have a login, signup, dashboard, data display, search and filters. 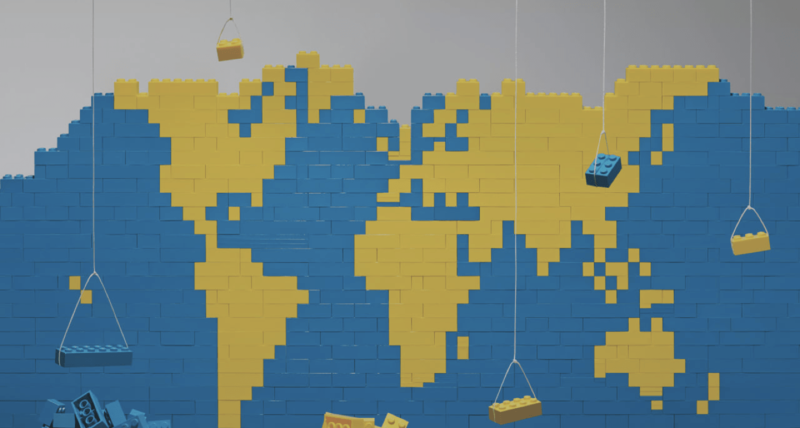 To cut the time spent on these repetitive tasks, they have build lego components and code generators to give them a starting point at a click of a button. By leveraging this, they are able to focus more on business problems and goals of the application instead of setting up common functionalities and deliver at the speed of light. Our teams follow Agile and Lean Startup methodology to deliver simple to complex projects at a very high speed. The Scrum lifecycle starts with Product Backlog, followed by Sprint Planning, Daily Standup, Sprint Demos, Sprint retrospectives. Each sprint duration is 1-3 weeks. Scrum has helped us to maintain speed, transparency and flexibility with the stakeholders. Let's launch your first version in 6-8 weeks. Currently, Lean Apps has a DevOps lab dedicated to continuous delivery and continuous integration for all the projects. All our deployments go through a well defined DevOps process. This team helps customers understand and implement DevOps for any application in any infrastructure or technology. This has helped us to release and launch mobile and web applications very fast with minimal errors. One of the biggest factors that contributes to our success in any project is working together as a team. Even our office is designed in such a way that collaboration happens by itself. Our team are empowered to take their own decisions to achieve the goals. We don’t believe in HIPPO culture. Since our teamwork from different locations, communication is key. We use the following tools to communicate effectively. Our team shares their thoughts about the latest tech trends via our ebooks, blog posts, and interviews with leading journalists.